What happens if no-one is home when the courier tries to deliver the gift? If this happens, a"Sorry we missed you"card will be left, and the gift will be taken to the nearest Post Office. The card will advise which Post Office the gift can be collected from. You may receive notifications from Startrack about the status of your delivery. Notifications are sent to our gift Senders (not Receivers) since you are our Customer. For Sydney Same Day Delivery the courier will reattempt delivery between 1pm and 6pm the following business day, and if that fails the gift will be returned to us. 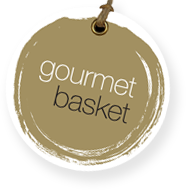 If Authority to Leave has been given, Gourmet Basket cannot accept responsibility or liability on the rare occasion that a parcel is lost or stolen after our couriers have recorded the package as 'successfully delivered'.